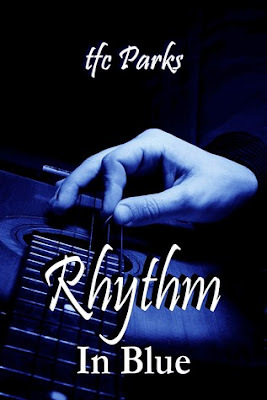 Ok so I have a friend who has been telling me about this book written by Tfc Parks (aka Brandie Buckwine) called Rhythm in Blue. I was always interested but never had the time. So when I got the job at Parajunkee I thought that I would squeeze this book in since I want to read it and I hadn’t reviewed it here. 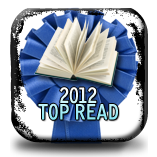 But it kind of slipped my mind so I decided (with a helpful nudge from a friend) that I would review it on PJV. You can go there to check out my review. But better yet. There is on ecopy of this book up for grabs!!! After running away from an abusive, alcoholic father at the age of fifteen, Rick Rowland has overcome his past and made a name for himself as the bassist for the popular 70’s rock band, Smoke n’ Mirrors. With his choice of beautiful women, and a party-all-the-time lifestyle, Rick knows he’s got it made. Then he meets someone who makes him question who he really is, and makes him wonder if he ran far enough away from his past.